UNC Lineberger’s Seth Noar, PhD, and colleagues report in a new study that anti-tanning bed messages with images showing longer-term health effects, such as skin cancer or wrinkles, produced greater negative emotional reactions and higher ratings of effectiveness in a survey of female college students than text-only messages. 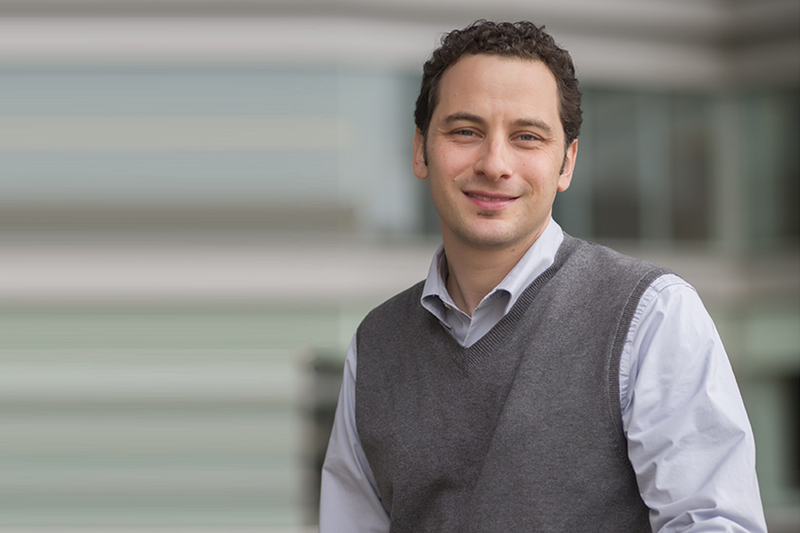 Seth Noar, PhD, is a UNC Lineberger researcher and professor in the UNC School of Media and Journalism. Although the health risks associated with indoor tanning are clear, tanning bed use among college-aged women is still popular. A new study by UNC Lineberger Comprehensive Cancer Center researchers suggests that adding images depicting the longer-term impacts of indoor tanning might be an effective health risk communication strategy. The researchers report in the Journal of Health Communication that anti-tanning bed messages with images showing some of the longer-term effects, such as skin cancer or wrinkles, produced greater negative emotional reactions and higher ratings of effectiveness in a survey of female college students. 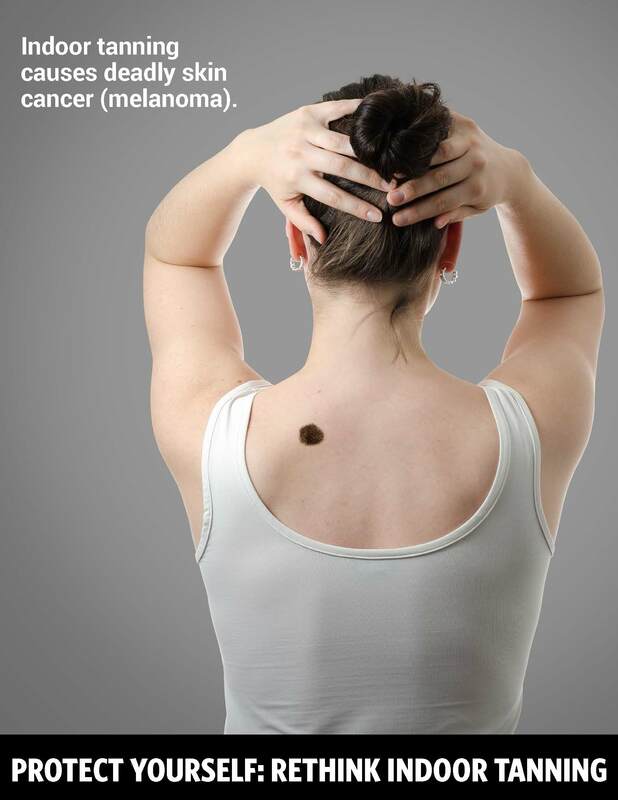 Ninety percent of cases of melanoma, the deadliest skin cancer, are caused by exposure to ultraviolet light, the researchers report. A 2009 study found tanning beds’ fluorescent bulbs generate UV radiation that is three times more intense than the sun. 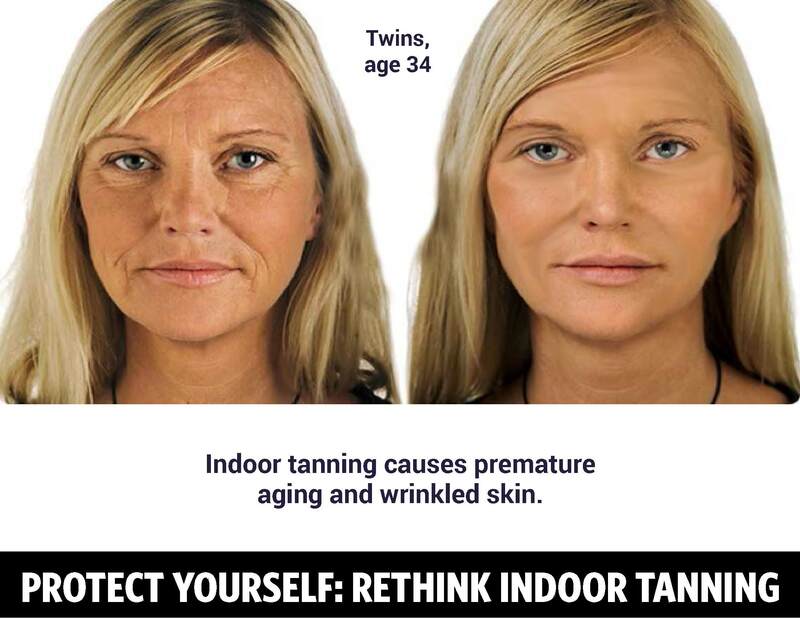 Indoor tanning is most common among younger, non-Hispanic white women. According to the 2010 National Health Interview Survey, as many of 32 percent of women aged 18 to 21 years used tanning beds, and 30 percent of white women aged 22 to 25 years reported using them. And according to a 2006 analysis, people who start indoor tanning before age 35 increase their risk of melanoma by 75 percent. Yet few studies have looked at messages to deter women from using tanning beds, Noar said. To identify which type of messages would be most effective, researchers surveyed 568 women enrolled at a university about the effectiveness of different messages viewed online. The study found messages with images produced greater negative emotional reactions, and were perceived as more effective in discouraging tanning than text-only messages. Messages that showed the longer-term health effects, like skin cancer and eye damage, and appearance-related side effects, like wrinkled skin, were rated as more effective among young women than images showing immediate tanning risks, like burns and infections. “Many young women who tan indoors are already familiar with the long-term health effects, but communicating these risks using visuals is much more hard-hitting than just text,” said the study’s first author Jennah Sontag, a doctoral candidate in the UNC School of Media and Journalism. “Because many women tan indoors to ‘improve’ their appearance, they should understand that their appearance is actually at-risk in the long-term,” she added. Interestingly, they also saw that those surveyed said many of the text-only messages were more believable than those that included images. The researchers concluded that warnings should include images, but additional research is needed to make sure the images are realistic and believable. The study findings have the greatest implications for a print or even social media-based health communication campaign, Noar said, although they could be relevant to warnings on tanning beds themselves. The study was supported by UNC Lineberger and the University Cancer Research Fund.